Welcome to the 2019 International Conventions of Jehovah's Witnesses update! It was announced recently that next year International Conventions will be held on different countries around the earth. 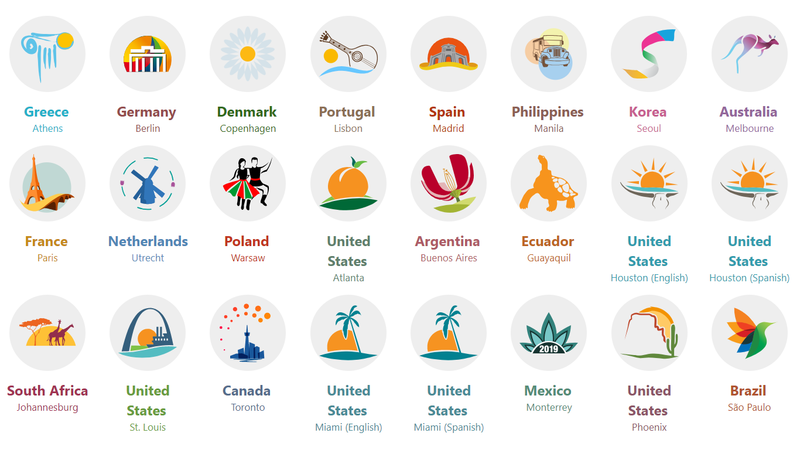 Actually, 24 international conventions will be held in 18 countries during 2019! These events are like "annual festivals and other gatherings for worship" that "strengthen God’s servants spiritually", according to the official website. 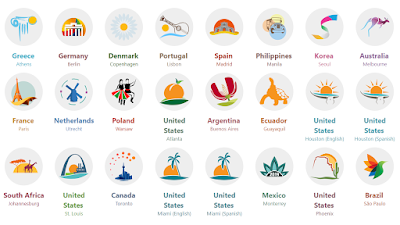 Belarus, Brazil, Chile, Cyprus, Denmark, Djibouti, Estonia, Ethiopia, Faroe Islands, Finland, France, Greece, Greenland, Guyana, Hong Kong, Iceland, Israel, Italy, Japan, Kazakhstan, Latvia, Lithuania, Netherlands, Norway, Portugal, Romania, Sweden, Tajikistan, Trinidad and Tobago, Turkmenistan, United Kingdom, Uzbekistan. Austria, The Democratic Republic of the Congo, Congo, Eritrea, Germany, Hungary, Israel, Japan, Kenya, Luxembourg, Madagascar, Malawi, Peru, Republic of South Sudan, Sudan, Switzerland, United Republic of Tanzania, Uganda, United Kingdom, United States, Zambia, Zimbabwe. 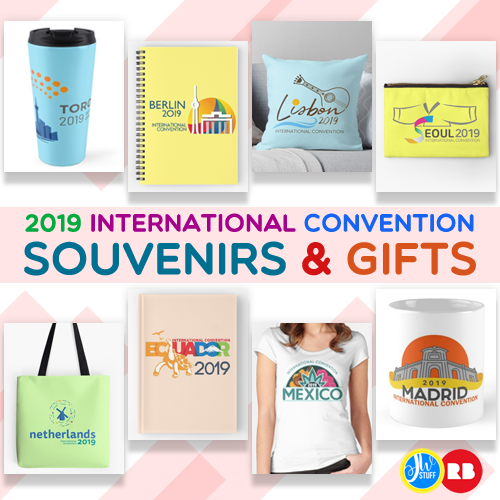 Also, for our brothers and sisters who will attend, you might like to check our guide regarding JW convention souvenirs and gifts ideas for delegates. What a privilege it is to belong to Jehovah’s organization! He shows his loyal love for us constantly. The brotherly love is undeniable. I don’t even know you personally but I know that I love you. There is no better place to be than in Jehovah's organization. Our brotherhood is the best!!! I love my God, Jehovah!!! Do we know yet what the theme is? I am Making a poster for our mid-week meeting where we will be presenting the information about volunteering for the international convention in Phoenix. Does anyone know where I can get the artwork for the convention logo? 2. click LOGIN link at the top. 4. use your email to complete your application. I am looking forward to attending my first convention. I've never really followed religion or read the bible but I've always believed God exists and I know many people who call him an absentee landlord and I have never agreed and recently I've had a friend share some insight and we have both decided thay we will come and join the next convention and I am very happy with hearing it's name this year. Because love has always been what helps me find my way out of some of my darkest days . As I sit here I send you all ..Love , light and joy aND i hope you keep it all because it warms the soul.